has given us the experience and knowledge you deserve. of the lowest mortgage rates in 30 years. with up to 100% financing and little to no out of pocket expense! FHA Mortgages for all Types of Homes! home mortgage even if you have challenged credit! What are people saying about 1st Choice Mortgage? 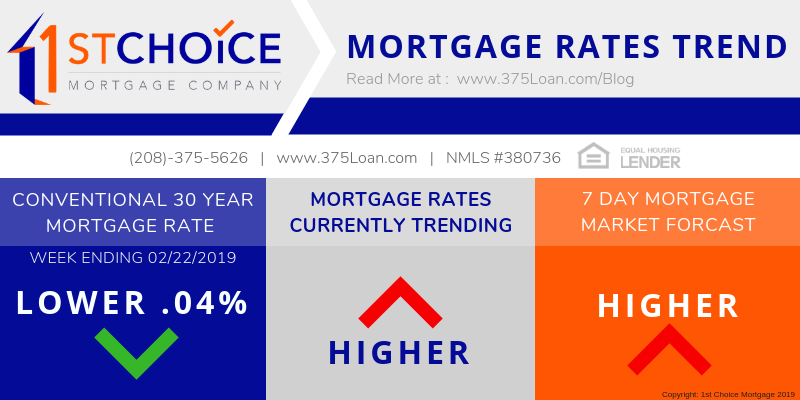 3rd week in a row that mortgage rates have increased. 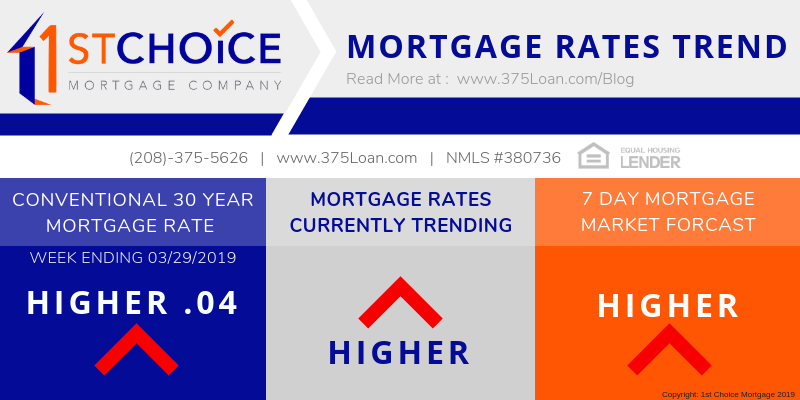 With economic news all pretty good, and some inflation news in the headlines, mortgage rates have been worsening. Still at 1 year lows, but off our lowest level on March 27th. Mortgage rates at their BEST in over 1 year! Mortgage rates squeaked out a improvement, but could be temporarily! You must be logged in to complete this form. Looking to Buy a Home in Boise, Meridian, Nampa, Caldwell or anywhere in Idaho? Looking for the Best Mortgage Company? Here you can use our online tools to learn more about home loans and find the best loan options to suit your needs and goals.